WaveStation – available to download now on iOS – is a fantastic local music discovery app. Built to help artists increase exposure and build a solid local following, and for listeners to discover awesome local music and events, it brings a lot of exciting new features to the music app scene. For avid music listeners it promises a streamlined discovery system where you’ll be able to see tracks, artists and events in your local area as well as the top creators in each city. You can connect with artists on the platform, follow them, stay updated with new releases and even send direct donations using WaveTokens. Like the sound of an event? You can purchase tickets directly from the app, too. For artists, WaveStation will help them to generate extra income, exposure for their events and a great tool to promote new content. 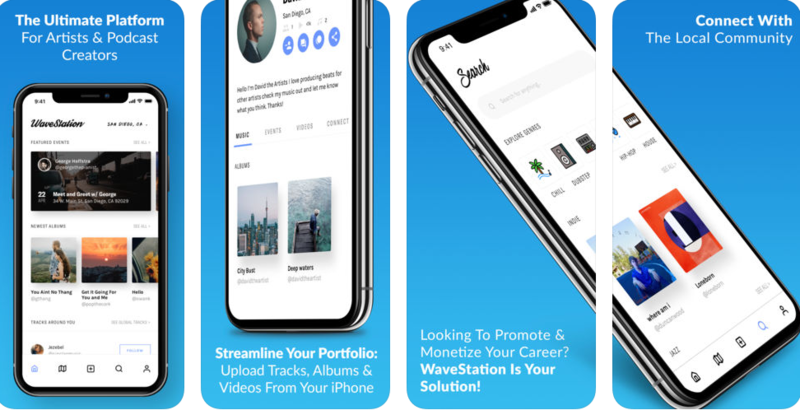 No app on the market gives artists the power to tap into the local area & build a strong fanbase like WaveStation does. It also promises to pay artists 3x more than their competitors Google Music, Apple Music, Soundcloud and Spotify. Because discovery is done based on location, there’s far less competition compared to the current global streaming platforms. WaveStation is available to download now on iOS.